For decades, photos and videos were the best mediums to share your travel experiences with your friends and family. However, VR takes this to the extreme by giving your loved ones a 360° view of your surroundings. 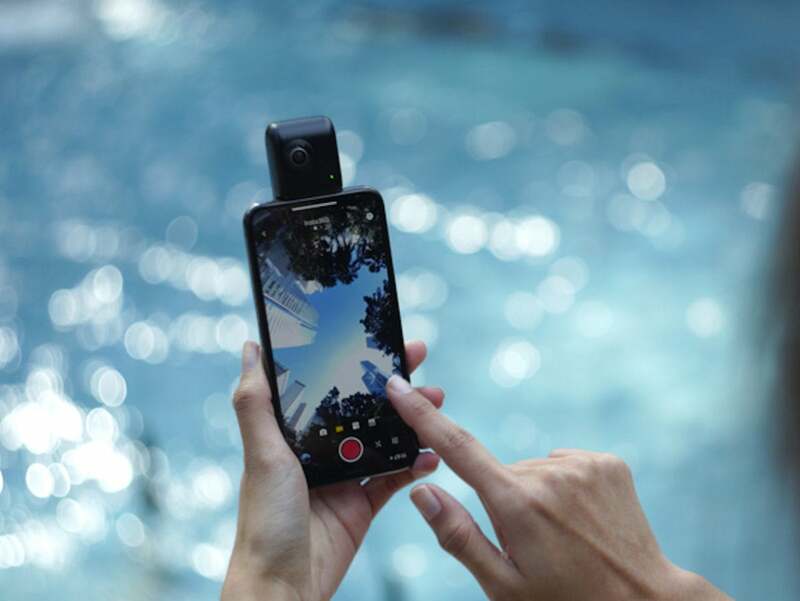 Your iPhone alone can’t capture VR footage and images, but with this handy Insta360 Nano S VR Camera, you can turn your iPhone into a VR content creation device. The Insta360 Nano S is an iPhone attachment equipped with a 20MP camera and a Sony sensor. Once connected via your Lightning port, you can capture 360° photos in 6272x3136, and 360° video in 3840x1920 at 30 FPS. You can share your content through your phone using the included VR Cardboard, or livestream it so your loved ones can experience what you’re seeing in real time. Finally, the Insta360 Nano S contains a gyroscope to counteract camera shakiness, so you viewers won’t get motion sickness while watching your content. Supported formats include JPG, INSP, RAW, MP4, INSV, and Log. You can use the Insta360 Nano S with iPhone 6/6Plus and newer. With the Insta360 Nano S iPhone VR Camera, you can immerse your loved ones in your travel experiences for $159.20 with code CMSAVE20 at checkout, saving over 30% off its retail price for Cyber Week.